The LG 200c Functions and the Lg 3280 functions on the keyboard are the same except for ringer volume adjustment. This picture shows the LG 200c keyboard. The "Two top Buttons" (number 1 and number 3) below the screen will take you where the title above them on your screen tells you. These are sometimes called the soft menu buttons. You can always look directly above them on the screen to know what they will do. The "OK" button in the middle of the round 4-way button normally takes you to the next step. The "Green" (#2) button on the left is the call out button. Once you pull someone up from contacts or put in a phone number and hit the green button your phone will dial out. The "Red" (#4) button on the right below the 4-way round is the end of call button. This will also take you back to the "Home page" if you are somewhere in the menu system. "Back" Button right below the 4-way button will take you one step back. These 4 buttons work a little bit differently depending on where you are in the menu. If you are on a phone call you can push the up button to turn on the loud speaker or the down button to make the call quieter. The LG 200c Functions are simple to navigate. The 4-way button allows you to navigate the menuof LG 200c Functions. If the phone is not online you can push the right arrow for a calendar. To navigate the calendar use the arrow keys to move up and down and side to side. This Button takes you one step back on the menu. The Red #4 End button will take you to the main menu. If you are on a call this button will end the call. This Photo shows the front and back of the Lg200c. The Tracfone Straight Talk programs are built to be competitive with 2 year contract cellular phone plans. A contract cellular phone plan will require you to sign a one year or two year long term contract to get service. Straight Talk Wireless Prepay is prepaid which means that you make payment for for your service before you use it and if you utilize your minutes or the time period expires you lose cell service. You will not have to pay a termination fee and in order to initiate service just as before you may purchase a Walmart Straight Talk cellular phone card and reactivate your mobile phone. Straight Talk Prepaid is a joint venture between Walmart, Track phone prepaid and Verizon. All phones are CDMA and work on the Verizon Wireless network. Straight Talk Wireless Prepaid has two plans the $30 per thirty days Straight Talk All You Need plan and the $45 monthly Unlimited plan. This plan offers 1,000 minutes per 30 days, 1,000 texts monthly and 30 meg of data per thirty days. This Straight Talk Wireless program costs $30 monthly. This Straight Talk Wireless Prepay program delivers unlimited minutes, unlimited texts and unlimited data for $45 per thirty days. You can buy your Straight Talk Phone or service on-line at Straight Talk.com or at Walmart. 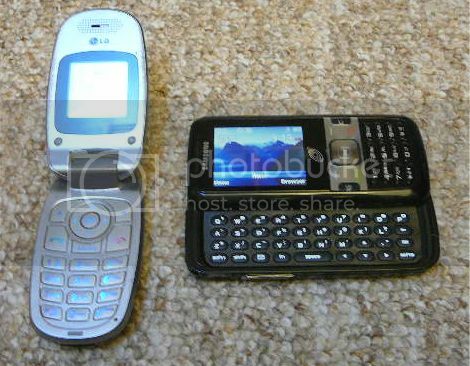 The Net10 and Tracfone LG 200c Functions have exactly the same menu. To get to the menu you push the top left button on your phone. Faqs--About My LG 200c Functions? Turn "ON" my LG 200c? Push and hold for two seconds the Red Button on the right below the round 4-way button. Turn "OFF" my Lg 200C? Push and hold for two seconds the Red Button on the right below the round 4-way button. With the long battery life of the 200c I do not turn mine off at night. I put it in another room so it won't wake me up if it rings. Enter the numbers on the keyboard of the number you want to call. Then push the Green button to the left and below the round 4-way button. You do not need to put in the "1" but it is a good idea to put in the area code. If you are roaming or out of your area code you will need to put in the 3 digit Area code. Correct a number as I type? Hit the Back button once to erase one number at a time. Hit the Red button to erase all the numbers you have put in. Save a number to Contacts? Enter the numbers of the number you want to save so they show up on your screen. Be sure to put in the 3 digit area code. Then click the save [top left button], a screen will come up with Home, Home2, office, office2, mobile, mobile2, pager, fax, fax2. Scroll down with the round 4-way key to what you want to call this number. Then click on "OK". You will have the option of "New Name" or "Existing," you can add another number to someone you already saved with "existing." Click "OK" and the screen will kinda go blank. Add the name of the person whose phone number this is. To put in Mom hit the 6 button, pause, then the 6 button 3 times in a row quickly, then the 6 button again. Now hit "OK" and then "done" [the top left button] and you have saved your mom into your phone. 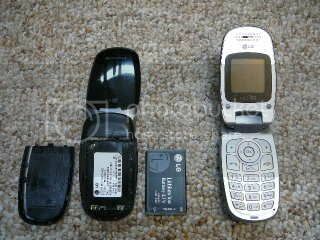 LG 200c Functions from Compare prepaid cell phones.com. Search for a number in Contacts? We are going to search for Mom. Click on the top right button [contacts]. Then push the 6 button [M] and it will go down the list to the first M. You can then scroll down the m's to Mom. Push the up button on the 4-way round button. The options here are Low, Med Low, Med, Med High, High, Vib and High [High Volume Ring and Vibrate]. Net10 Phone Sale! Save up to $30! Check out the new lower price on the Lg 200c from Net10 Wireless. If your phone is ringing open the phone and push the end [Red Button on the Right]. If the phone is not ringing Push the down arrow until the master control says "Silent All." Your phone will not ring at all at this point. Push the up arrow when the phone is not in use until you see "Vib and High." I have not been able to get my LG 200c Functions to vibrate only. Turn on the speaker phone? 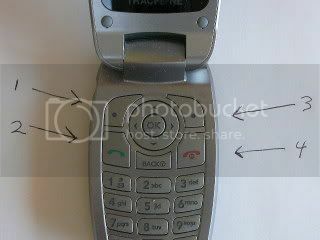 While talking on the phone push the up on the 4-way round button. LG 200c Functions Turn off the speaker phone by pushing the down button while talking on the phone. Lg 200c Functions link to Compare Prepaid Cell phones Home Page .